To the ladies whose boyfriends have neglected since the beginning of all football leagues in Europe, your time has finally arrived. The curtains will soon be drawn down for all football leagues in Europe. And all roads are leading to the cinemas. Movie characters are storming movie cinemas with new stories throughout the rest of the months. The popcorn joints can as well make more money now as couples readies themselves for these intriguing upcoming movies. 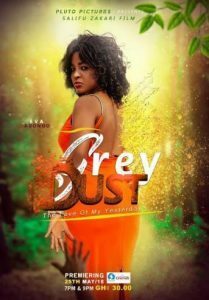 One of such movies you cannot afford to miss is “GREY DUST” which will start showing this on May 25. Featuring this great movie is child actress Eva Adonoo together with some prominent actors such as Too Sweet Annan, among others. Pluto Pictures will hit your cinema screens with “GREY DUST”, a must-see movie that has a very rich storyline. The movie highlights on a mother who is forced to walk away from her baby and life giving the baby to a new mother years after she has left. So many years later, the biological mother returns to fight for her daughter’s love. 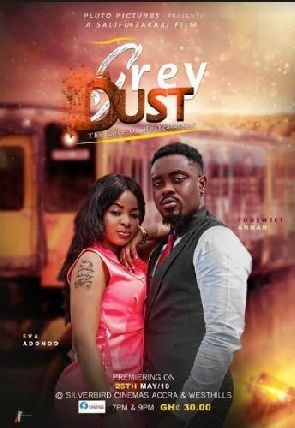 Find out what happens to two mother’s fighting for the love of their daughter in “GREY DUST”. It will premiere at the Silverbird cinemas Accra and West hills mall on 25th May, at 7pm & 9pm. Rate is a cool Gh¢30.